Chinese characters in different font types: 福, 禄, 寿, 喜 carves shows the artistic of this kind of Xi Shi Yixing Teapot. 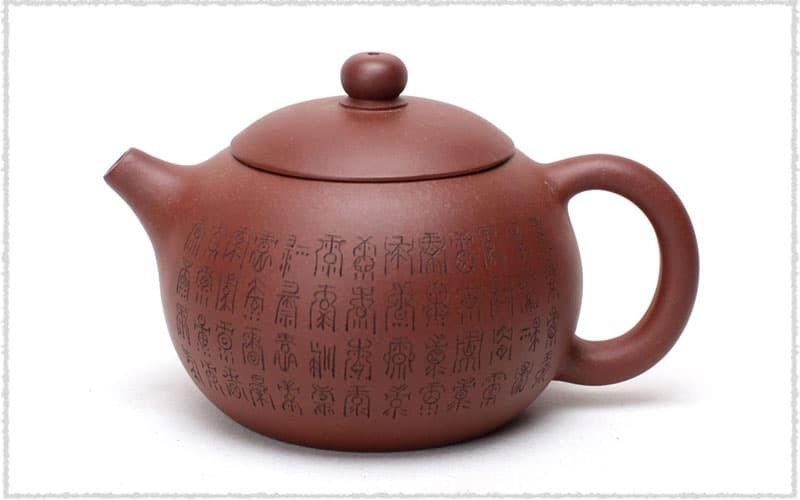 These four Xi Shi Yixing teapots made of Di Cao Qing clay, are of 450ml (15.2oz) large capacity. 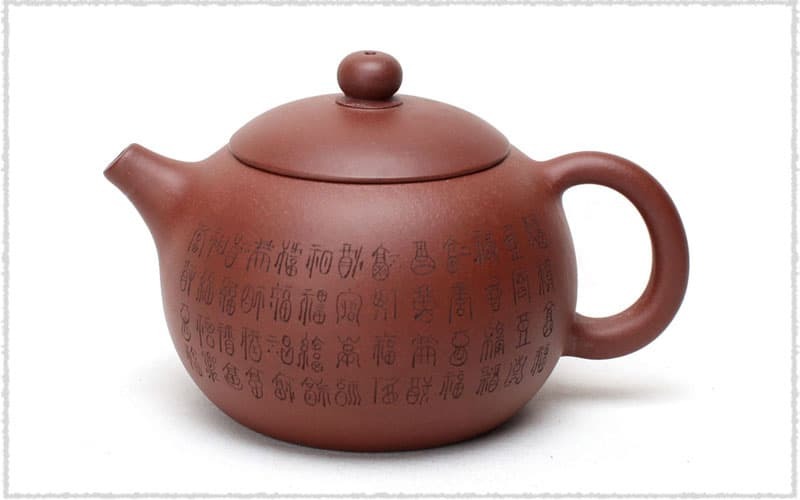 Each teapot is engraved with one of the four Chinese characters in different font types: 福, 禄, 寿, 喜. 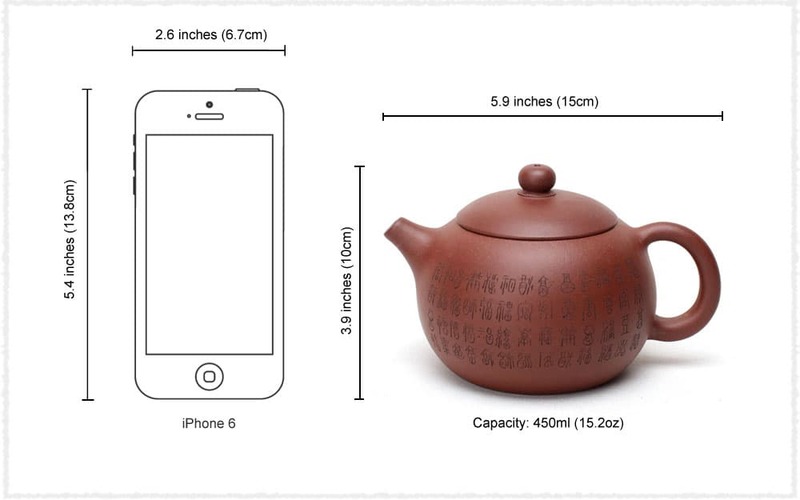 These words are very small, which shows the maker’s superb skills. 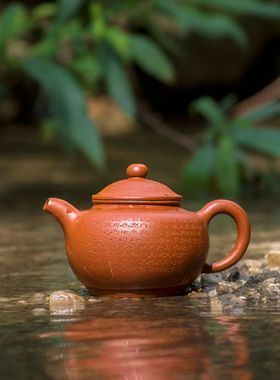 Xi Shi Yixing Teapot is a kind of easy using and classic Yixing Teapot for gongfu tea ceremony. 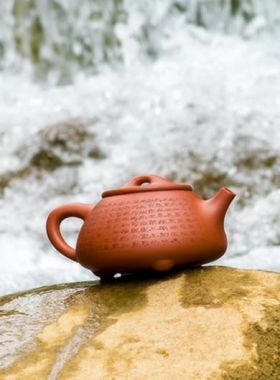 福 (pronunciation: fú) means luck, represents all kinds of good things. Nowadays, people peruse material well-being as well as the satisfying of spirit. And in the beginning of New Year, people pray good luck in the coming year. In China, people tend to paste a red painting of Chinese character “福” on the door, to bring them luck and wish a good and prosperous life in next year. 禄 (pronunciation: lù) means wealth, represents fortune and prosperity. 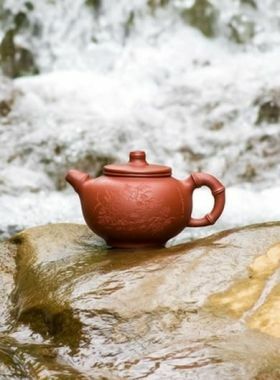 In ancient China, Lu is the salary of government officials, also refers to the wealth that people pursue all their lives. And now, it is not just their salary, but the happiness and blessing in modern world. 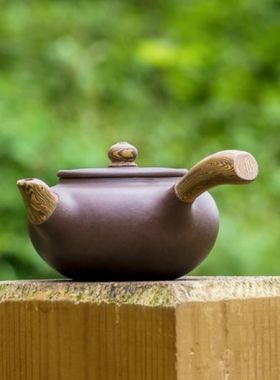 寿 (pronunciation: shòu) is longevity, refers to good health and long life, which is the biggest wish of people through the ages. Life is very short, and longevity is the foundation of continuous wealth and happiness. The culture of longevity is quite common in civil prayer. 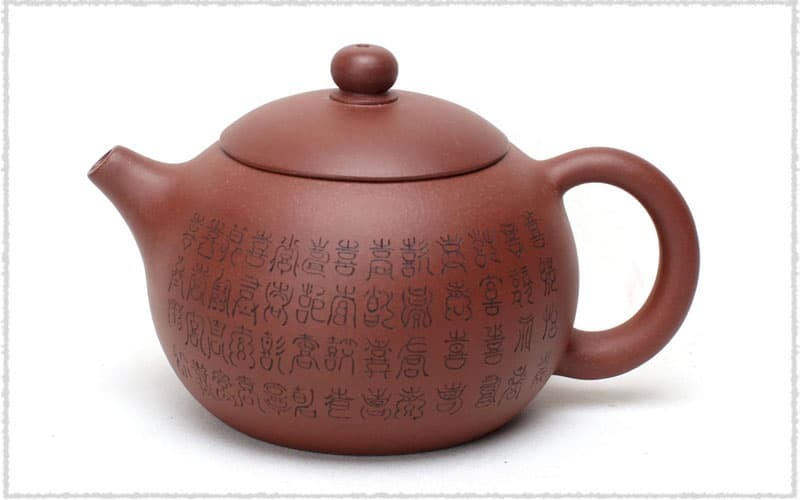 喜 (pronunciation: xǐ) is happiness, meets Chinese traditional psychology, longing for the good luck and fortune. All people want to meet the happiness and wish that the good luck can be always around them.